We are engaged in manufacturing, supplying and exporting a premium quality assortment of Biodegradable Bags. Offered products are manufactured using optimum quality raw material, procured from reliable vendors of the industry, in tandem with international quality standards and are made available to the customers in varied specifications at leading prices in the market. We are also capable of customizing these bags in accordance with the specified requirements of the clients. Offered products in this range are Waste Collection Bags and Bio-Waste Bags. 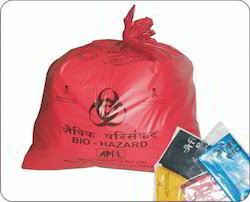 We specialize in manufacturing environment friendly waste collection bags that are 100% biodegradable. They are very appropriate for collecting waste and are made of quality proven material. 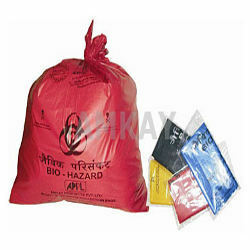 These leak proof garbage bags come in variety of specification and colours. We take a privilege to introduce our new innovation products Biodegradable Bags. which safely degrade if exposed to sunlight or kept in natural decaying conditions. The demands of these bags are increasing day to day for their eco-friendly nature. These bags are made available in various sizes and specifications as per the customer specifications.